Pixels Camp is probably the biggest developer conference in Portugal. In March 2019 it had its 3rd edition. As usual, Feedzai was present during the 3 days of the event. 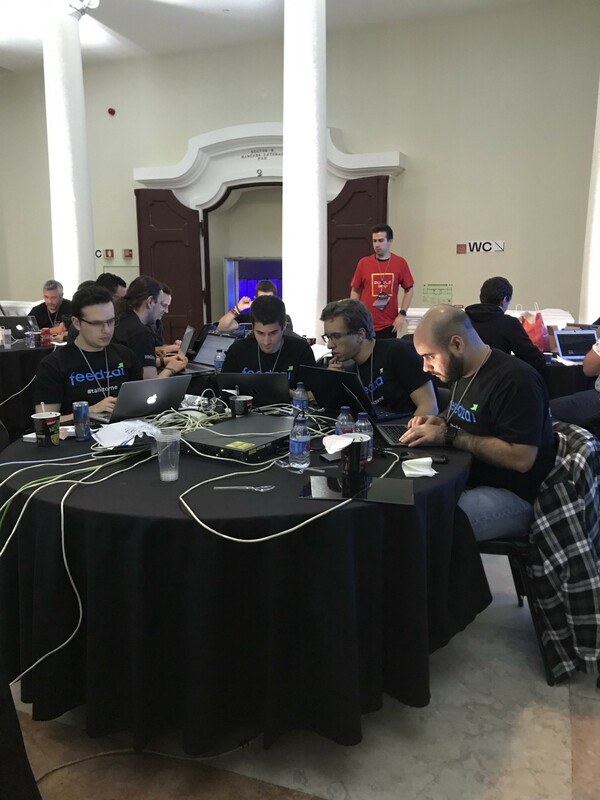 This year we didn’t make our presence felt only with a booth, but we also had our team presenting talks, giving workshops, and participating in the traditional security competition ‘Capture the Flag’ (CTF). Take a look at our team’s outstanding participation at the Pixels Camp in the following sections of this article. 10x Innovation or: Do Innovators Dream of Electric Sheep? Our team achieved a proud 7th place on the competition, with the same score as the 6th place. Overall we had lots of fun in these three days. We got to know a lot of people, we shared a bit of what we know with others and learned a lot as well. We hope to see you there again next year! Welcome to Feedzai Techblog, a compilation of tales on how we fight villainous villains through data science, AI and engineering.